Three fantastic wildlife trips in the June 2015 draw of the Rewilding Europe Travel Club are awaiting their lucky winners to bring them to Bulgaria, Poland or Sweden. 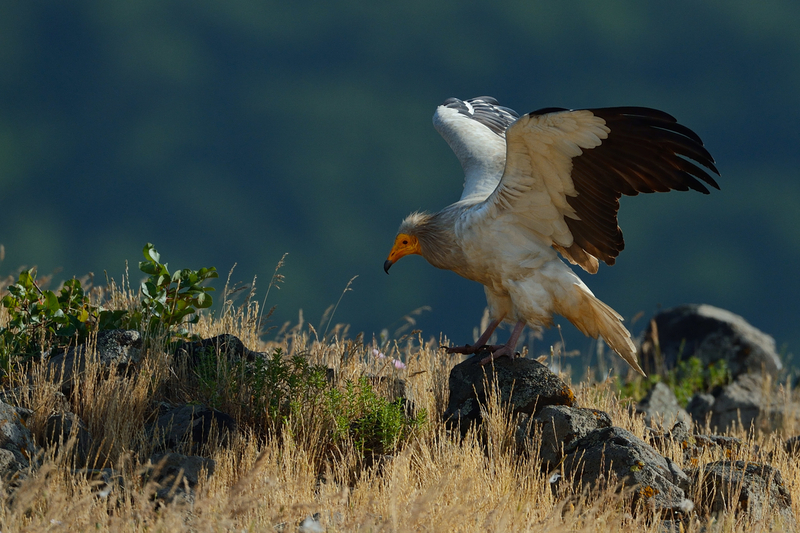 Egyptian vulture, Eastern Rhodope mountains, Bulgaria. A birding tour in the Eastern Rhodopes, Bulgaria (for two!) is our Grand Prize. If you are the lucky winner, you will enjoy birding in some of the wildest corner in Europe. The highlight of the tour is the highest variety of raptors in Europe. The long list includes three species of vultures and six species of eagles including the Eastern Europe specialities such as eastern imperial eagle and lesser spotted eagle. You will also be able to see black stork, rock nuthatch, Isabelline wheatear, black-headed bunting, rock bunting, roller, hoopoe, bee-eater and many other interesting songbirds and specialities. The trip is provided by LivingNature, the tour company of BSPB/BirdLife in Bulgaria. A weekend at Nordens Ark, Sweden (for a family), provided by Nordens Ark. Read more about the prizes of the June 2015 draw of the Rewilding Europe Travel Club. The draw is planned for early June, and we will then be announcing the lucky winners on our website and in a special edition of the Travel Club newsletter. The winners will be connected with the respective trip provider through with individual e-mails. As you know, these special offers can be booked at a discounted rate, within a certain period. 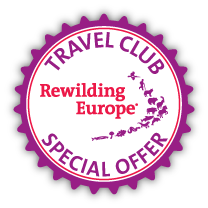 The reference code for the discount can be found in the newsletter of Rewilding Europe Travel Club sent out to the members of the Club on 17 April. New members of the Rewilding Europe Travel Club receive this newsletter automatically, right after they have sent in the filled-in membership form.